Home | Protecting What Matters Most! 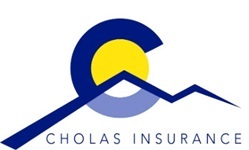 Cholas Insurance has provided coverage to our customers since 1997. We work with over 100 insurance companies to help protect your auto, home, business, life and health insurance. Our goal is to find you and your family with the best insurance for your individual situation. With over 20 years in the industry, we've walked our customers through just about every life situation. Give us a call! We'd love to get to know you and see how we can begin to serve your insurance needs. We are happy to provide you with multiple quotes from a variety of insurance companies. Our team will assist you to design an auto insurance package that will cover you when you need it most. An important part of owning a home is ensuring it is properly protected from potential disasters and claims. In the event of a tragedy, life insurance will help cover future financial needs and protect your family. Whether it is insuring your family or providing benefits for your company, our expert agents can help you.